New one-hour standup comedy special premieres May 6 on Netflix. How badass is Ali Wong? The standup comedian, who is on the writing staff of Fresh Off The Boat, has her first one-hour comedy special coming out exclusively on Netflix on May 6. 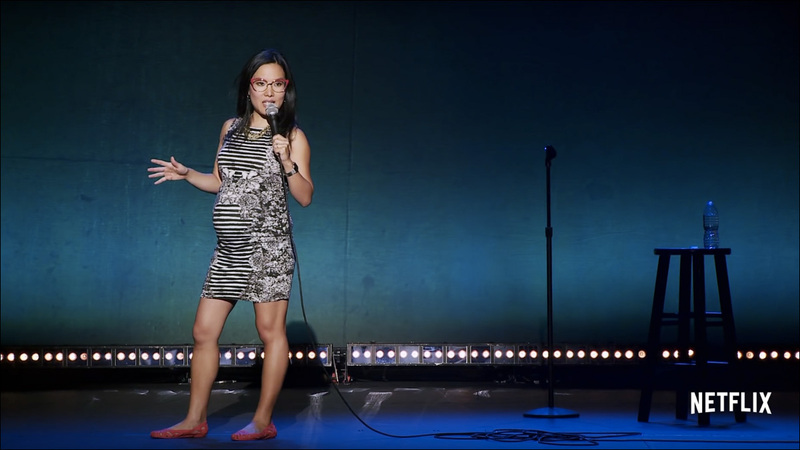 Ali Wong: Baby Cobra was filmed last fall at The Neptune Theater in Seattle... while Ali was seven months pregnant. And looking pretty damn fabulous. And funny as hell. Here's the trailer. Yes, there will be twerking. Ain't no reason a pregnant lady can't down like that. She also promises to delve into her sexual adventures, hoarding, the rocky road to pregnancy, and why feminism is terrible (her words, not mine). See it all hang out on Netflix on May 6. For further information on Ali Wong, visit her website and follow updates on Facebook and Twitter.